'Camera' Design Cases	There are 85 products. Turn your iPhone 4s in real camera through these covers camera manufactured in silicone for an optimal grip! Several patterns and colours available, shipping is free anywhere in France then made you pleasure! 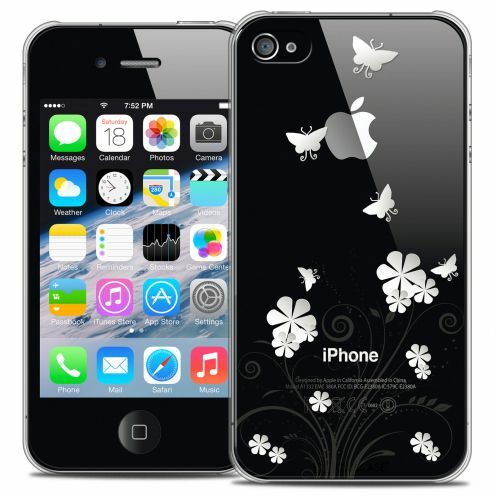 Extra-thin Crystal Summer Love Flowers back cover for Apple iPhone 4/4s! Hard and light case for iPhone 4/4s with an original design. 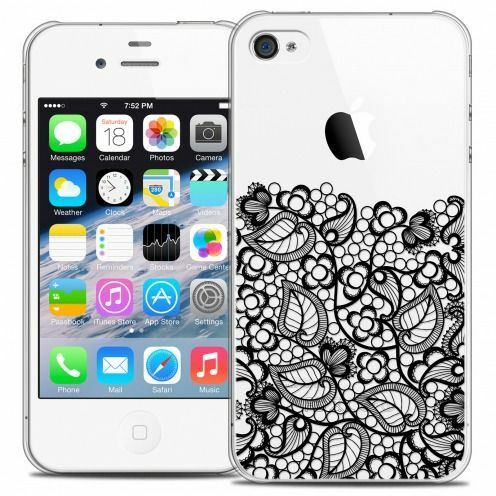 Unique Love Flowers design, it is the perfect case to protect your iPhone 4/4s with style. Extra-thin Crystal Foodie Donuts back cover for Apple iPhone 4/4s! Hard and light case for iPhone 4/4s with an original design. 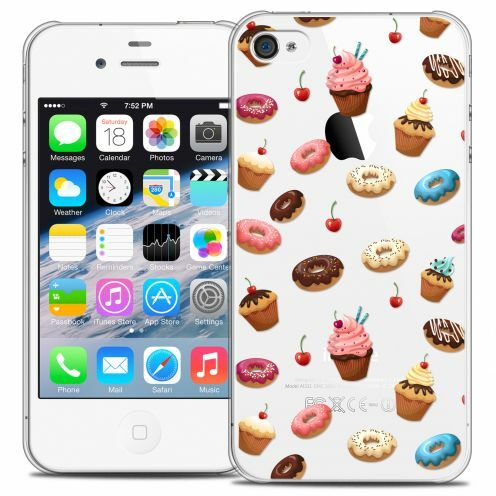 Unique Donuts design, it is the perfect case to protect your iPhone 4/4s with style. Extra-thin Crystal Summer Sakura back cover for Apple iPhone 4/4s! Hard and light case for iPhone 4/4s with an original design. 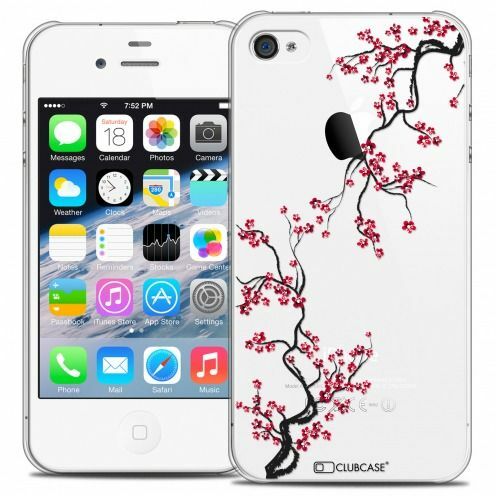 Unique Sakura design, it is the perfect case to protect your iPhone 4/4s with style. Extra-thin Crystal Summer Babouin back cover for Apple iPhone 4/4s! Hard and light case for iPhone 4/4s with an original design. Unique Babouin design, it is the perfect case to protect your iPhone 4/4s with style. Extra-thin Crystal Summer Hibou back cover for Apple iPhone 4/4s! Hard and light case for iPhone 4/4s with an original design. 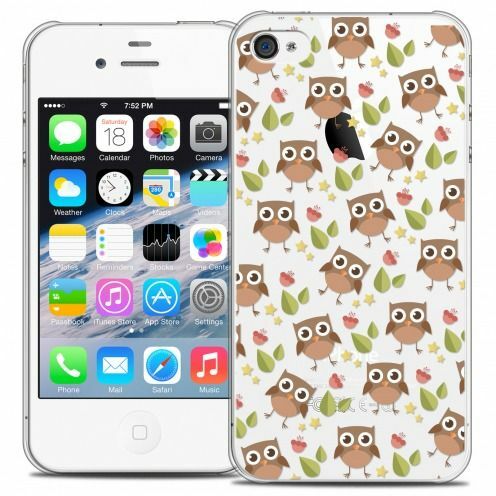 Unique Hibou design, it is the perfect case to protect your iPhone 4/4s with style. Extra-thin Crystal Foodie Pizza back cover for Apple iPhone 4/4s! Hard and light case for iPhone 4/4s with an original design. 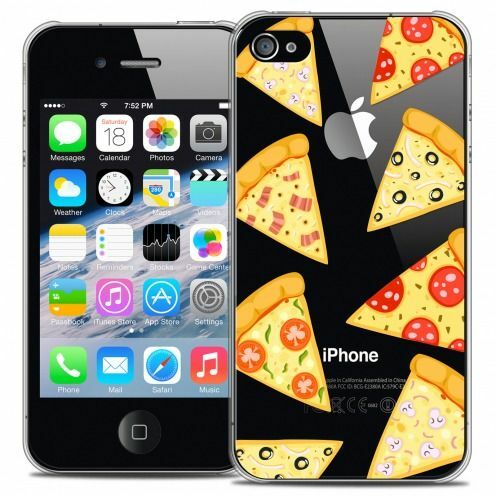 Unique Pizza design, it is the perfect case to protect your iPhone 4/4s with style. Extra-thin Crystal Spring Tropical back cover for Apple iPhone 4/4s! Hard and light case for iPhone 4/4s with an original design. 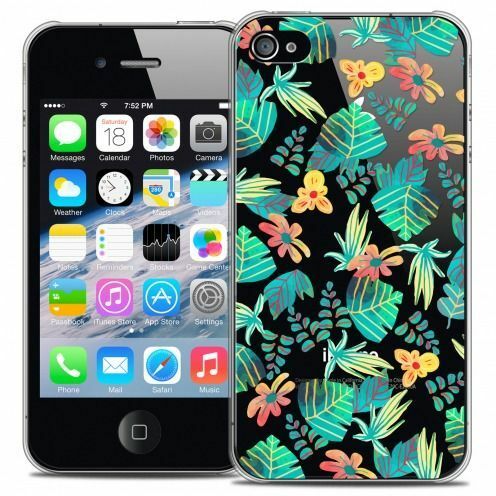 Unique Tropical design, it is the perfect case to protect your iPhone 4/4s with style. Extra-thin Crystal Foodie Fast Food back cover for Apple iPhone 4/4s! Hard and light case for iPhone 4/4s with an original design. 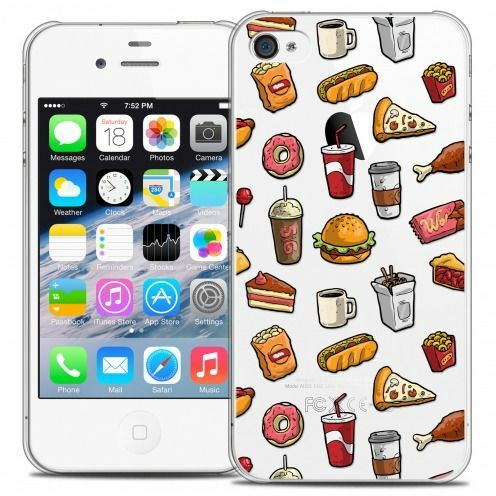 Unique Fast Food design, it is the perfect case to protect your iPhone 4/4s with style. 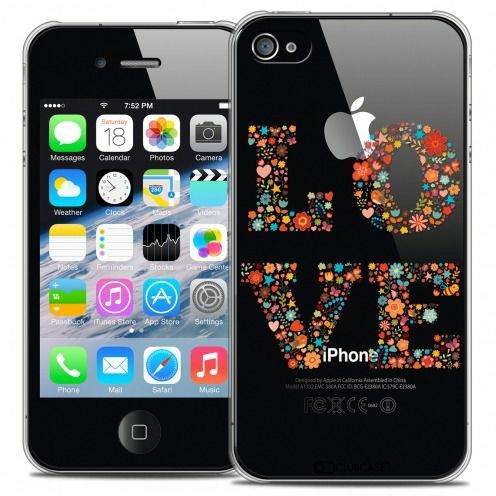 Extra-thin Crystal Summer I Love Ocean back cover for Apple iPhone 4/4s! Hard and light case for iPhone 4/4s with an original design. 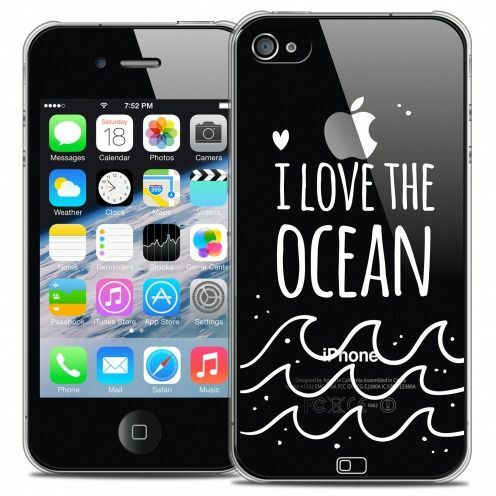 Unique I Love Ocean design, it is the perfect case to protect your iPhone 4/4s with style. Extra-thin Crystal Spring Bas dentelle back cover for Apple iPhone 4/4s! Hard and light case for iPhone 4/4s with an original design. Unique Bas dentelle design, it is the perfect case to protect your iPhone 4/4s with style. Extra-thin Crystal Summer Walking on the Sand back cover for Apple iPhone 4/4s! Hard and light case for iPhone 4/4s with an original design. 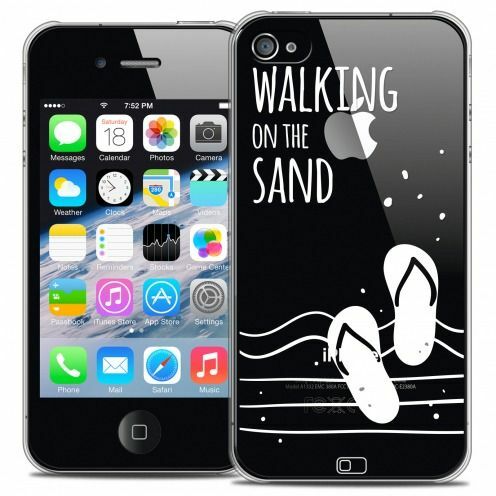 Unique Walking on the Sand design, it is the perfect case to protect your iPhone 4/4s with style. 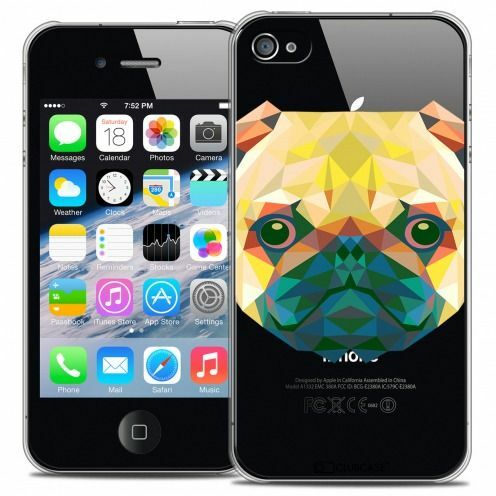 Extra-thin Crystal Polygon Animals Dog back cover for Apple iPhone 4/4S! Hard and light case for iPhone 4/4S with an original design. Unique Dog design, it is the perfect case to protect your iPhone 4/4S with style. Extra-thin Crystal Foodie Healthy back cover for Apple iPhone 4/4s! Hard and light case for iPhone 4/4s with an original design. Unique Healthy design, it is the perfect case to protect your iPhone 4/4s with style. 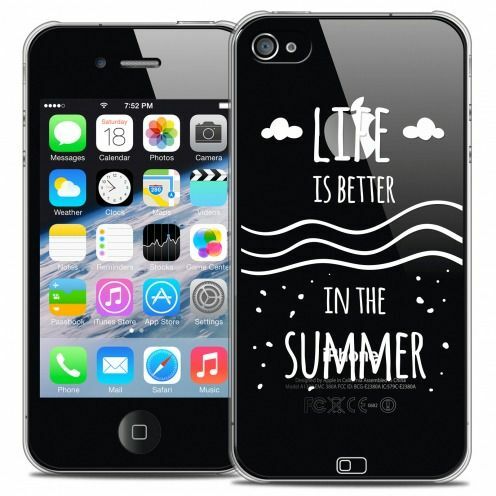 Extra-thin Crystal Summer Life's Better back cover for Apple iPhone 4/4s! Hard and light case for iPhone 4/4s with an original design. Unique Life's Better design, it is the perfect case to protect your iPhone 4/4s with style. Extra-thin Crystal Sweetie Heart Flakes back cover for Apple iPhone 4/4s! Hard and light case for iPhone 4/4s with an original design. 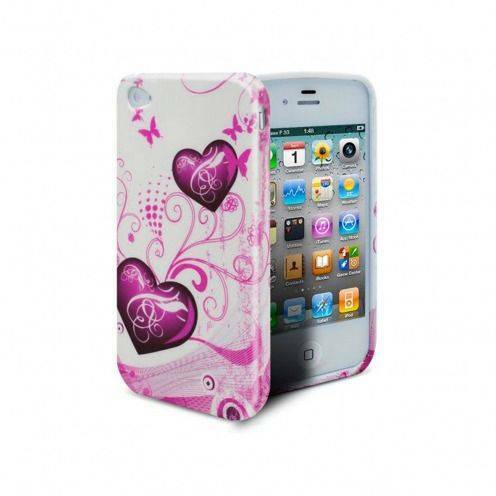 Unique Heart Flakes design, it is the perfect case to protect your iPhone 4/4s with style. Extra-thin Crystal Polygon Animals Lion back cover for Apple iPhone 4/4S! Hard and light case for iPhone 4/4S with an original design. 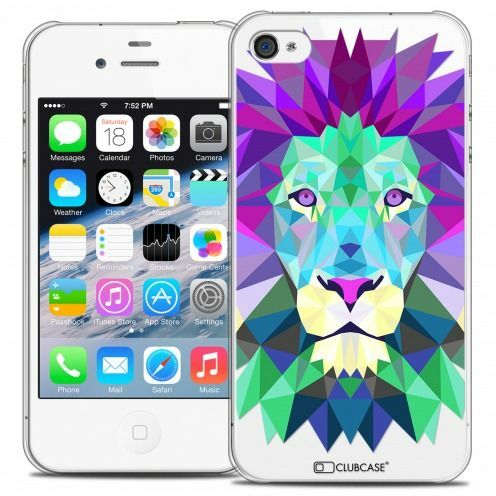 Unique Lion design, it is the perfect case to protect your iPhone 4/4S with style. Extra-thin Crystal Polygon Animals Fox back cover for Apple iPhone 4/4S! Hard and light case for iPhone 4/4S with an original design. 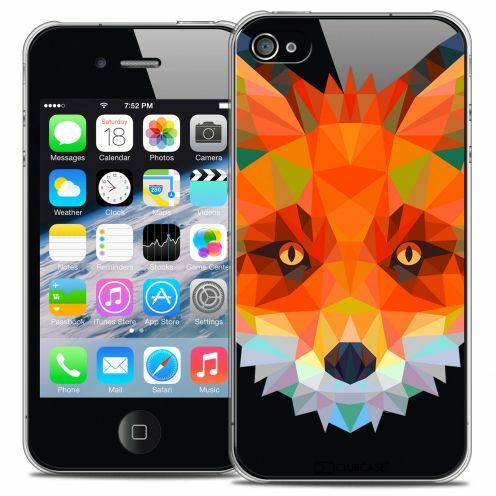 Unique Fox design, it is the perfect case to protect your iPhone 4/4S with style. Extra-thin Crystal Foodie Sushi back cover for Apple iPhone 4/4s! Hard and light case for iPhone 4/4s with an original design. 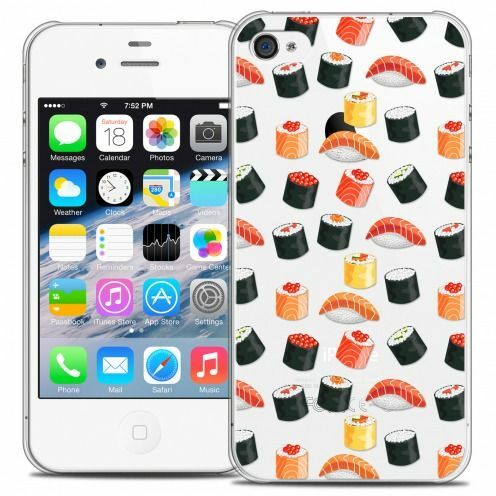 Unique Sushi design, it is the perfect case to protect your iPhone 4/4s with style. Extra-thin Crystal Summer Papillons back cover for Apple iPhone 4/4s! Hard and light case for iPhone 4/4s with an original design. Unique Papillons design, it is the perfect case to protect your iPhone 4/4s with style. Extra-thin Crystal Polygon Animals Eagle back cover for Apple iPhone 4/4S! Hard and light case for iPhone 4/4S with an original design. 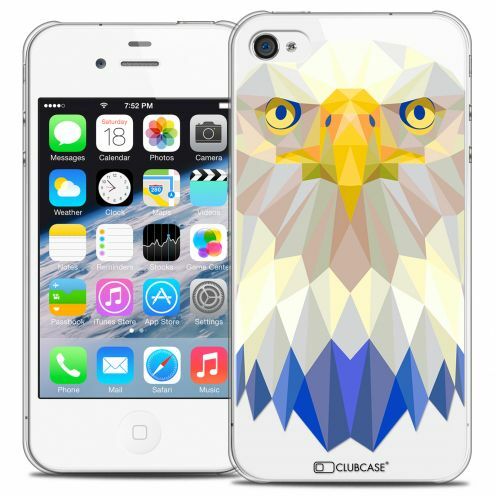 Unique Eagle design, it is the perfect case to protect your iPhone 4/4S with style. Extra-thin Crystal Polygon Animals Panda back cover for Apple iPhone 4/4S! Hard and light case for iPhone 4/4S with an original design. 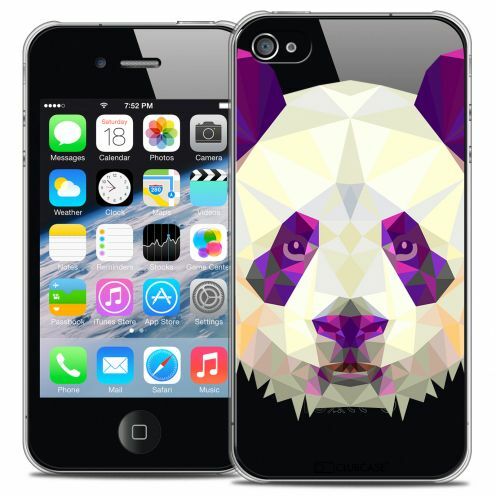 Unique Panda design, it is the perfect case to protect your iPhone 4/4S with style. 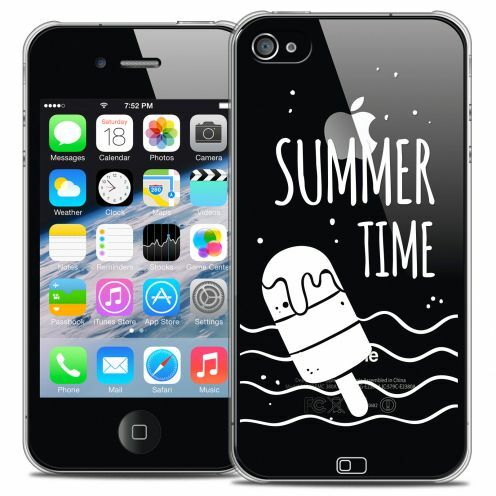 Extra-thin Crystal Summer Summer Time back cover for Apple iPhone 4/4s! Hard and light case for iPhone 4/4s with an original design. Unique Summer Time design, it is the perfect case to protect your iPhone 4/4s with style. Extra-thin Crystal Polygon Animals Tiger back cover for Apple iPhone 4/4S! Hard and light case for iPhone 4/4S with an original design. 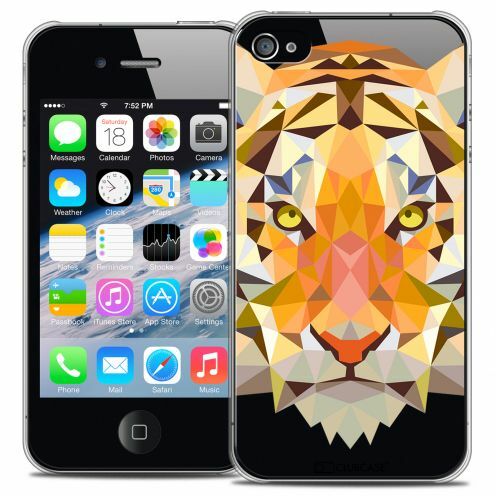 Unique Tiger design, it is the perfect case to protect your iPhone 4/4S with style. 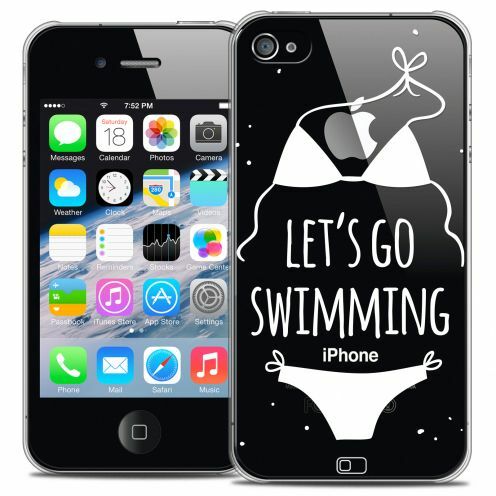 Extra-thin Crystal Summer Let's Go Swim back cover for Apple iPhone 4/4s! Hard and light case for iPhone 4/4s with an original design. Unique Let's Go Swim design, it is the perfect case to protect your iPhone 4/4s with style. 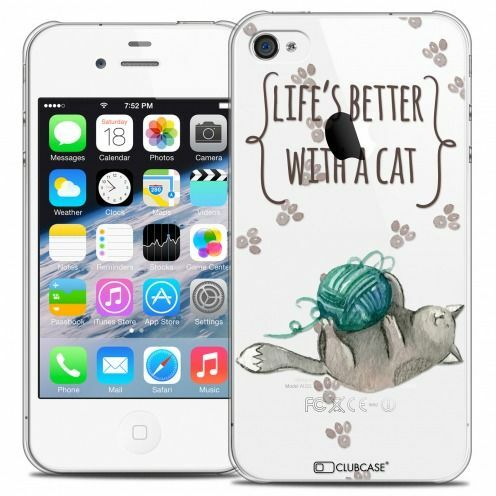 Extra-thin Crystal Quote Life's Better With a Cat back cover for Apple iPhone 4/4s! Hard and light case for iPhone 4/4s with an original design. Unique Life's Better With a Cat design, it is the perfect case to protect your iPhone 4/4s with style. Extra-thin Crystal Spring Bas dentelle Noir back cover for Apple iPhone 4/4s! Hard and light case for iPhone 4/4s with an original design. 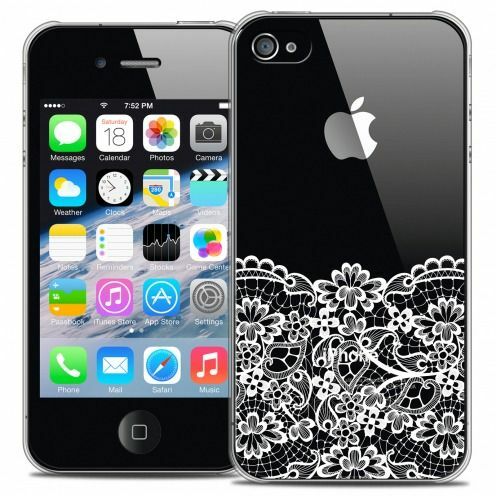 Unique Bas dentelle Noir design, it is the perfect case to protect your iPhone 4/4s with style. Extra-thin Crystal Polygon Animals Cat back cover for Apple iPhone 4/4S! Hard and light case for iPhone 4/4S with an original design. 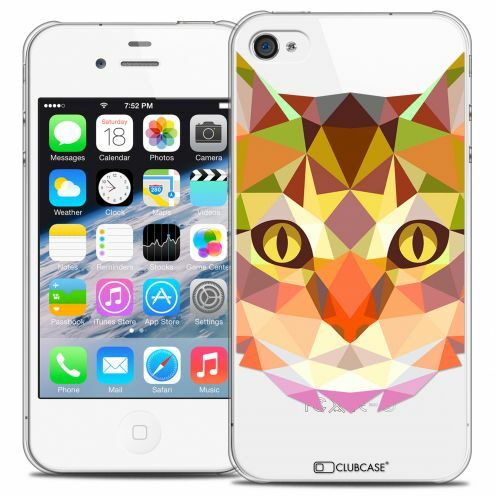 Unique Cat design, it is the perfect case to protect your iPhone 4/4S with style. 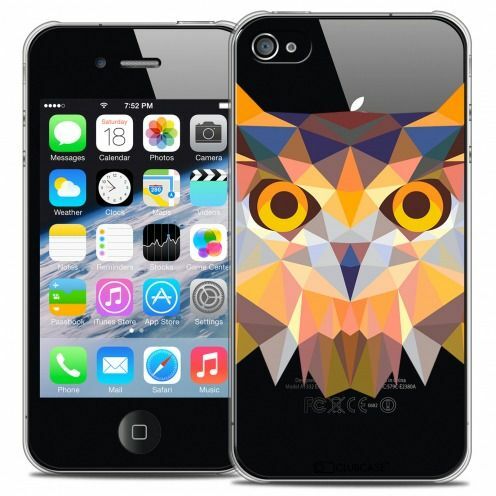 Extra-thin Crystal Polygon Animals Owl back cover for Apple iPhone 4/4S! Hard and light case for iPhone 4/4S with an original design. Unique Owl design, it is the perfect case to protect your iPhone 4/4S with style. Extra-thin Crystal Sweetie Doodling Hearts back cover for Apple iPhone 4/4s! Hard and light case for iPhone 4/4s with an original design. 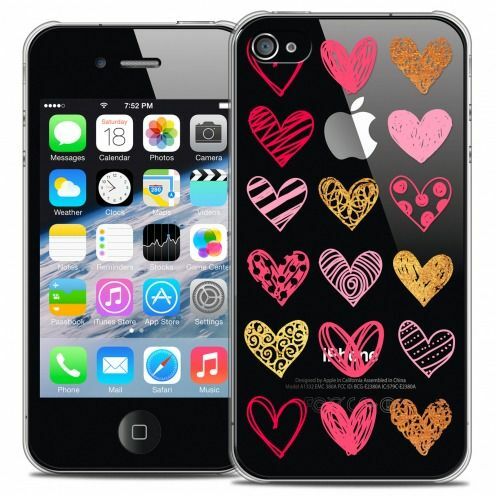 Unique Doodling Hearts design, it is the perfect case to protect your iPhone 4/4s with style. 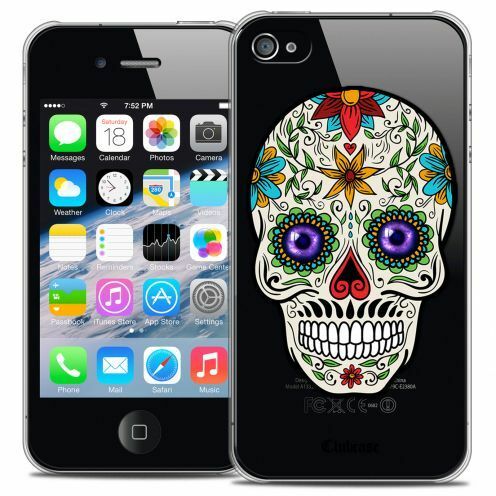 Extra-thin Crystal Skull Maria's Flower back cover for Apple iPhone 4/4s! Hard and light case for iPhone 4/4s with an original design. 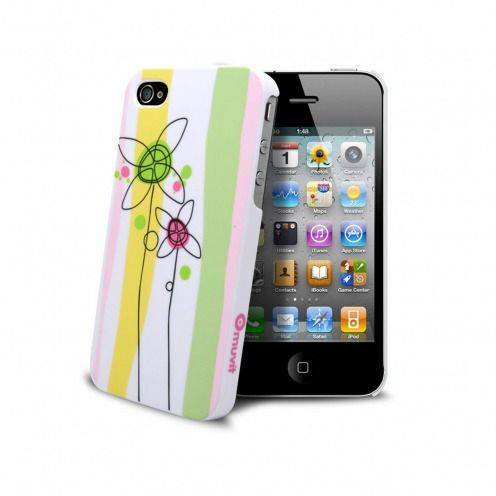 Unique Maria's Flower design, it is the perfect case to protect your iPhone 4/4s with style. 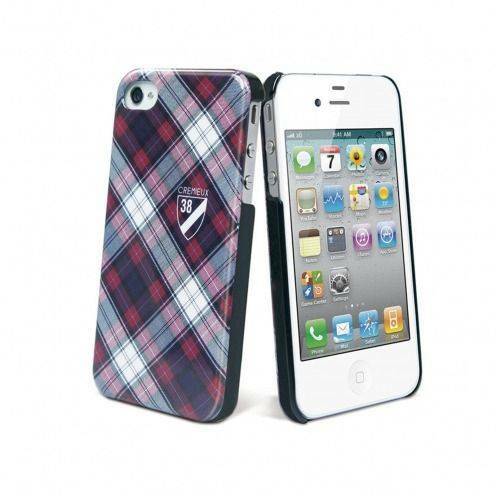 Hull iPhone ® 4/4S Hearts pink Collection ABSTRACTION. A hull with a motif representing 2 hearts kissing surrounded by butterflies! Made of TPU, an innovative material combining flexibility and rigidity. Abstract iPhone shells effectively absorb the shock and quality do not deform. Extra-thin Crystal Polygon Animals Racoon back cover for Apple iPhone 4/4S! Hard and light case for iPhone 4/4S with an original design. Unique Racoon design, it is the perfect case to protect your iPhone 4/4S with style. 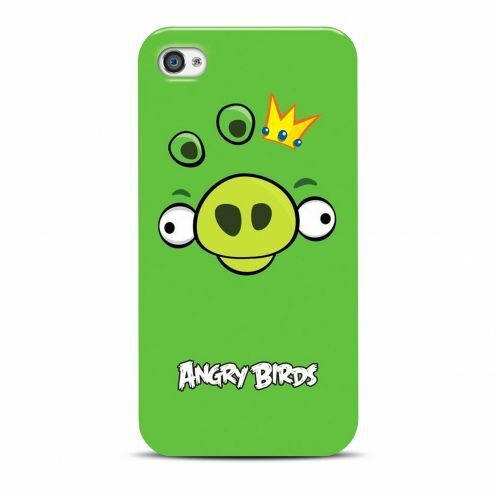 Angry Birds Gear4® King Pig Case specially designed for iPhone 4. This ultra-thin high gloss case decorated with King Pig, then leader of the bad piggies in the famous game of Rovio®, will make your iPhone sparkle. 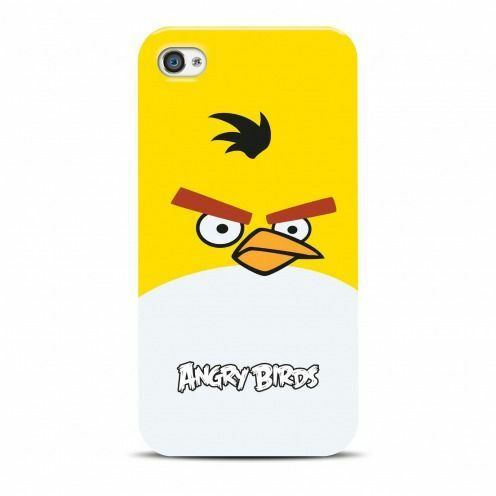 Angry Birds Gear4® Yellow Bird Case specially designed for iPhone 4. This ultra-thin high gloss case decorated with Chuck the yellow canari, so useful to break wood in the famous game of Rovio®, will make your iPhone sparkle. With this rubber finish soft touch case recall the small scribbles of your school notebooks. With the version Flowers with flowers on stripes in pastel colors motif find the spirit of romance. Extra-thin Crystal Polygon Animals Deer back cover for Apple iPhone 4/4S! Hard and light case for iPhone 4/4S with an original design. 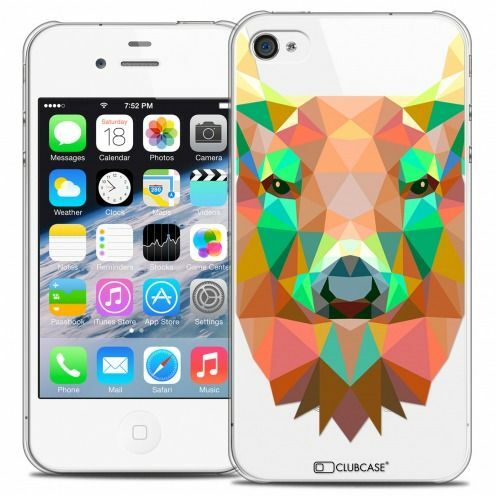 Unique Deer design, it is the perfect case to protect your iPhone 4/4S with style. The iDesign Skull DIY customization pack for iPhone 4 / 4S signed Satzuma® is unique. Let your imagination vibrate with this pack of 2 cases to customize according to your tastes with its 3D elements and rhinestones to stick! 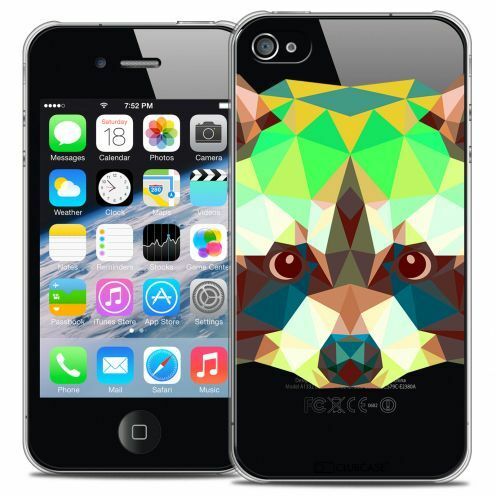 Extra-thin Crystal Polygon Animals Wolf back cover for Apple iPhone 4/4S! Hard and light case for iPhone 4/4S with an original design. 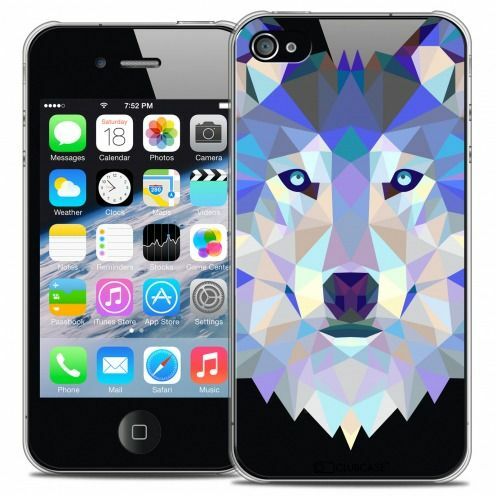 Unique Wolf design, it is the perfect case to protect your iPhone 4/4S with style. With this rubber finish soft touch case recall the small scribbles of your school notebooks. With the Aliens release with a completely original pattern find a schoolboy spirit and surprise your entourage. 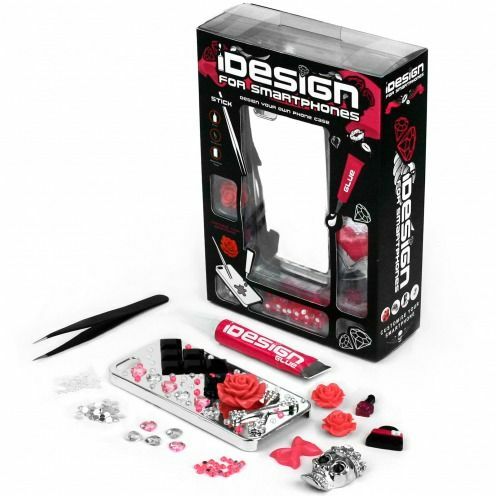 The iDesign Crown DIY customization pack for iPhone 4 / 4S signed Satzuma® is unique. 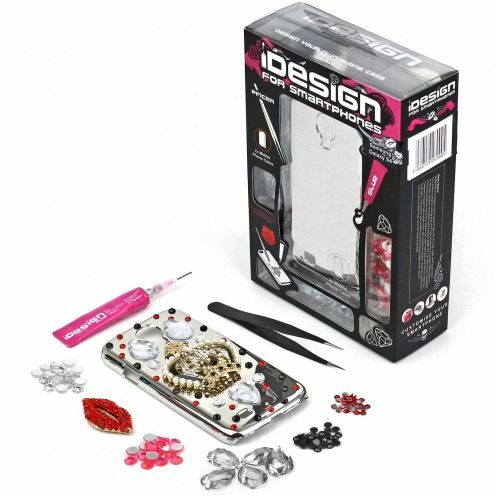 Let your imagination vibrate with this pack of 2 cases to customize according to your tastes with its 3D elements and rhinestones to stick! With this rubber finish soft touch case recall the small scribbles of your school notebooks. With the monsters release with a completely original pattern find the little devil in you and surprise your entourage. Golla® Extra Thin Case for iPhone 4/4S Pink from the HETTY collection that will protect your iPhone 4 / 4S with color. An aesthetic, colorful and pleasant touch rigid back cover. The black Crémieux 38 ® Fashion Back shell for iPhone 4 and 4S with its Scottish design in thermoformed and hardened polyurethane protect effectively your iPhone in him giving a Scottish air.With superb back motif of Daniel Crémieux give your iPhone a look so scottish designed in Paris. 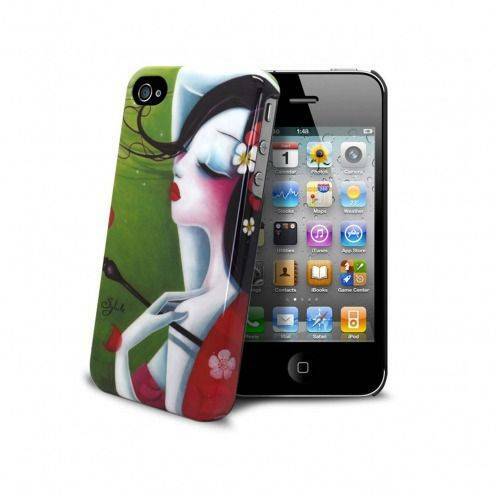 View a world of fairy tale on your iPhone 4/4S with this case "Folie d'éventails" created by Sybil, the Brussels artist who enhances the time of samurai and geisha with unmatched charm. The Red Crémieux 38 ® Fashion Back shell for iPhone 4 and 4S with its Scottish design in thermoformed and hardened polyurethane protect effectively your iPhone in him giving a Scottish air.With superb back motif of Daniel Crémieux give your iPhone a look so scottish designed in Paris. New Hull iPhone ® 4 S/4 Hearts Red Collection ABSTRACTION. A hull with a motif representing 2 hearts kissing surrounded by butterflies! Made of TPU, an innovative material combining flexibility and rigidity. Abstract iPhone shells effectively absorb the shock and quality do not deform. 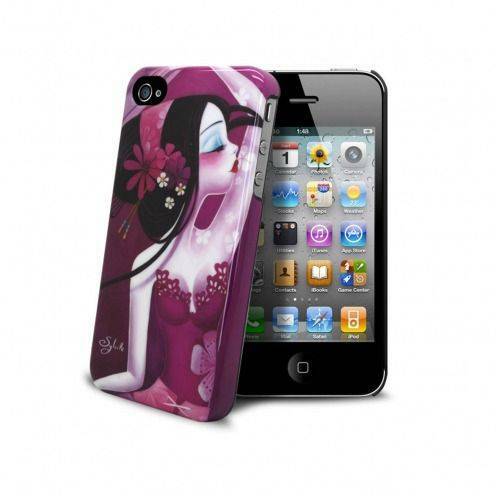 View a world of fairy tale on your iPhone 4/4S with this case "la risée fleurie" created by Sybil, the Brussels artist who enhances the time of samurai and geisha with unmatched charm. 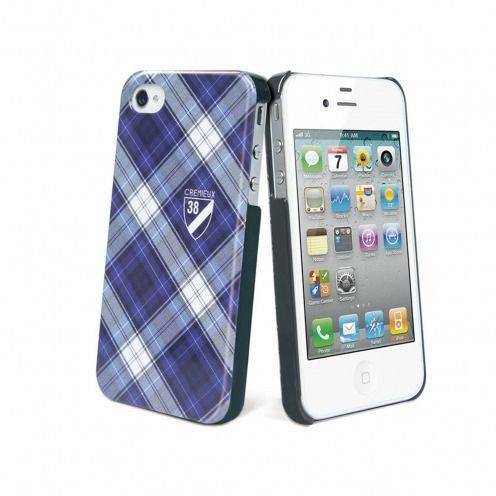 The blue Crémieux 38 ® Fashion Back shell for iPhone 4 and 4S with its Scottish design in thermoformed and hardened polyurethane protect effectively your iPhone in him giving a Scottish air.With superb back motif of Daniel Crémieux give your iPhone a look so scottish designed in Paris. Extra-thin Crystal Petits Grains® Le Poisson back cover for Apple iPhone 4/4s! Hard and light case for iPhone 4/4s with an original design. 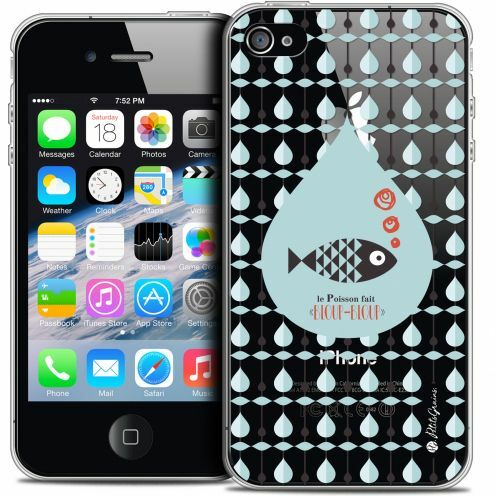 Unique Le Poisson design, it is the perfect case to protect your iPhone 4/4s with style. Extra Slim Crystal iPhone 4/4s Case Petits Grains® VIENS, On Vole ! Extra-thin Crystal Petits Grains® VIENS, On Vole ! back cover for Apple iPhone 4/4s! Hard and light case for iPhone 4/4s with an original design. Unique VIENS, On Vole ! design, it is the perfect case to protect your iPhone 4/4s with style. Extra-thin Crystal Petits Grains® 3 Gouttes de Pluie back cover for Apple iPhone 4/4s! Hard and light case for iPhone 4/4s with an original design. 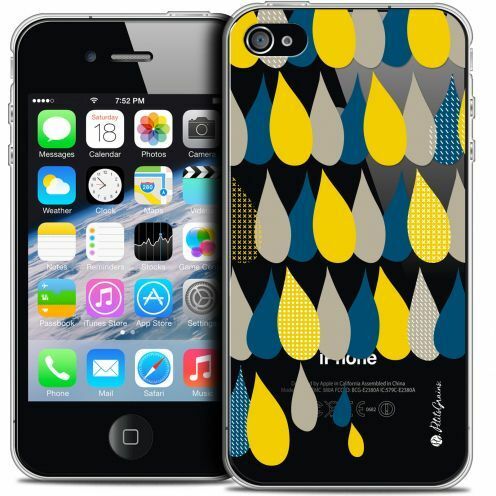 Unique 3 Gouttes de Pluie design, it is the perfect case to protect your iPhone 4/4s with style. 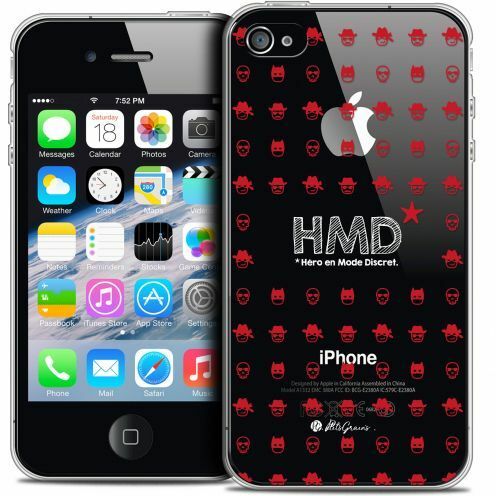 Extra-thin Crystal Petits Grains® HMD* Hero en Mode Discret back cover for Apple iPhone 4/4s! Hard and light case for iPhone 4/4s with an original design. Unique HMD* Hero en Mode Discret design, it is the perfect case to protect your iPhone 4/4s with style. 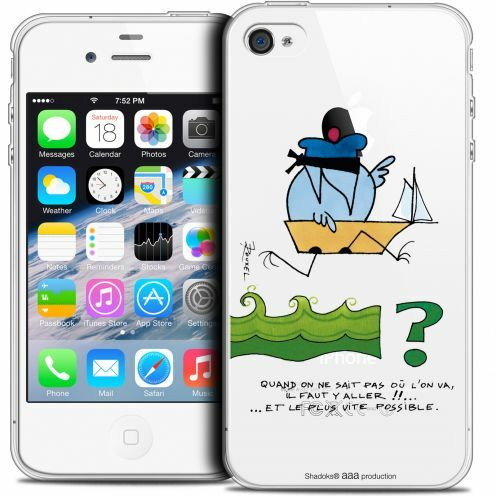 Extra-thin Crystal Petits Grains® MVE Le Bateau back cover for Apple iPhone 4/4s! Hard and light case for iPhone 4/4s with an original design. 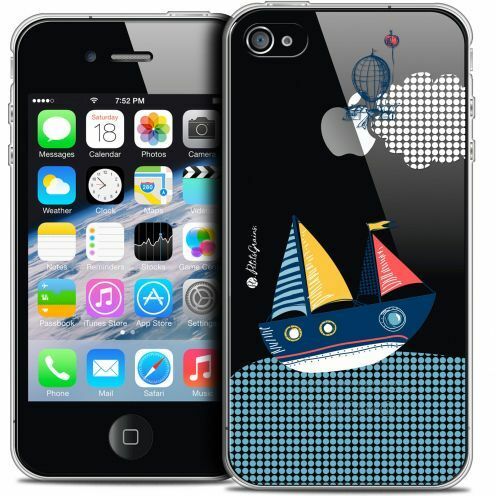 Unique MVE Le Bateau design, it is the perfect case to protect your iPhone 4/4s with style. Extra-thin Crystal Petits Grains® A l'Ombre des Cactus back cover for Apple iPhone 4/4s! Hard and light case for iPhone 4/4s with an original design. 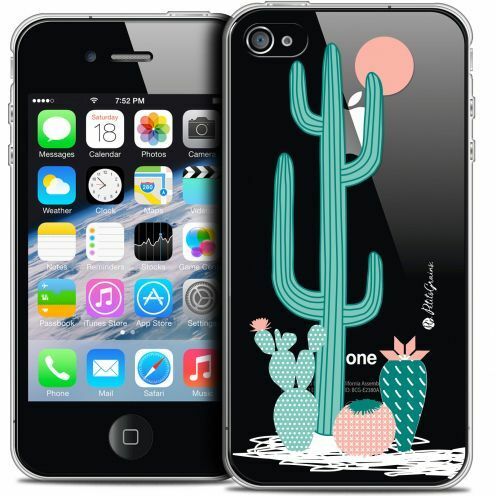 Unique A l'Ombre des Cactus design, it is the perfect case to protect your iPhone 4/4s with style. Extra-thin Crystal Les Shadoks® Pas De Problème back cover for Apple iPhone 4/4s! Hard and light case for iPhone 4/4s with an original design. Unique Pas De Problème design, it is the perfect case to protect your iPhone 4/4s with style. 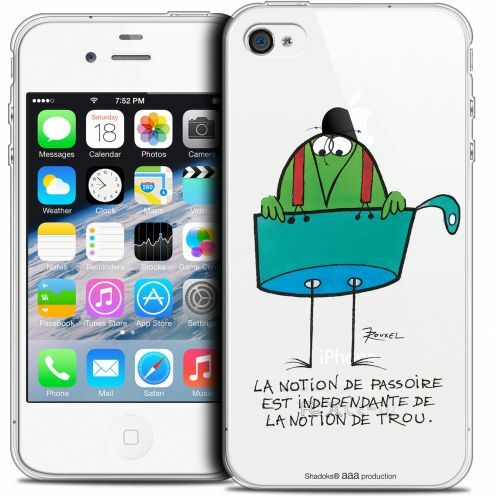 Extra-thin Crystal Les Shadoks® Pour Être Heureux back cover for Apple iPhone 4/4s! Hard and light case for iPhone 4/4s with an original design. Unique Pour Être Heureux design, it is the perfect case to protect your iPhone 4/4s with style. Extra-thin Crystal Les Shadoks® Réfléchir back cover for Apple iPhone 4/4s! Hard and light case for iPhone 4/4s with an original design. Unique Réfléchir design, it is the perfect case to protect your iPhone 4/4s with style. 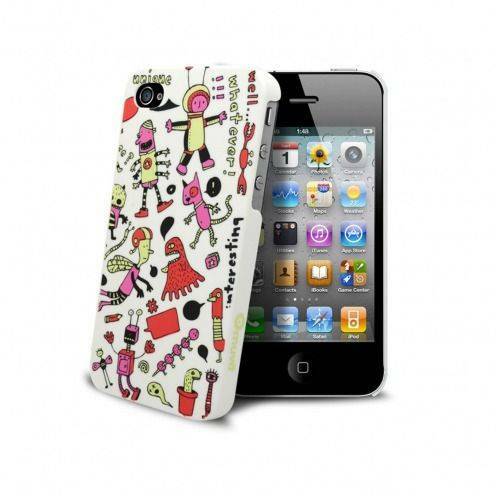 Extra-thin Crystal Les Shadoks® Intelligent back cover for Apple iPhone 4/4s! Hard and light case for iPhone 4/4s with an original design. 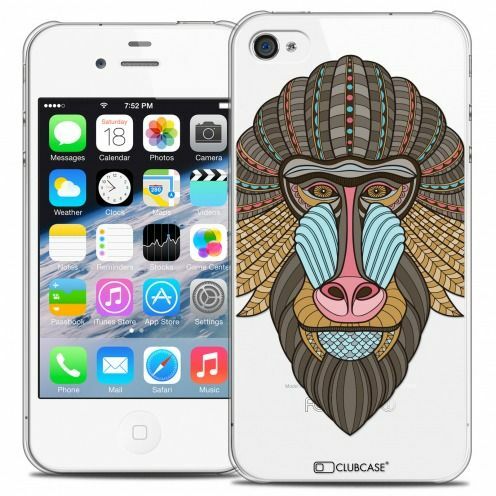 Unique Intelligent design, it is the perfect case to protect your iPhone 4/4s with style. Extra-thin Crystal Les Shadoks® Einstein back cover for Apple iPhone 4/4s! Hard and light case for iPhone 4/4s with an original design. Unique Einstein design, it is the perfect case to protect your iPhone 4/4s with style. 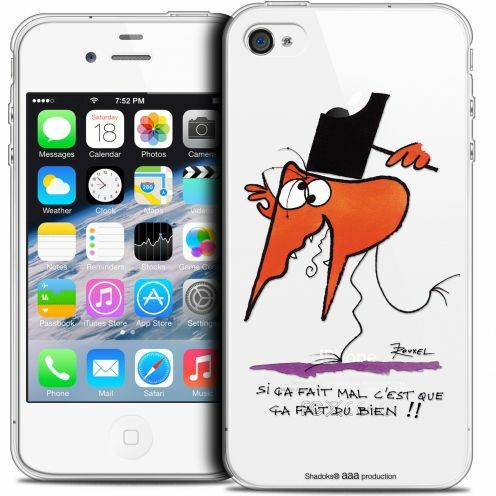 Extra-thin Crystal Les Shadoks® Donc Je Suis back cover for Apple iPhone 4/4s! Hard and light case for iPhone 4/4s with an original design. 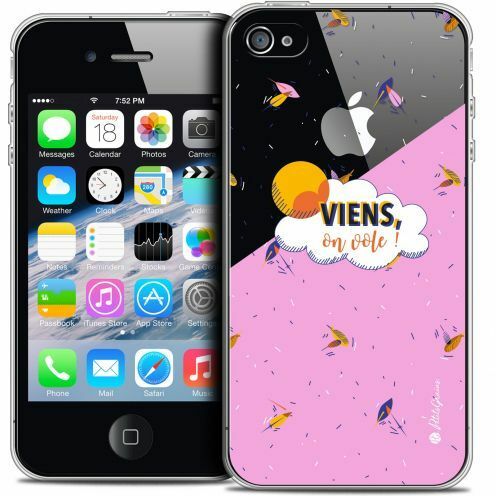 Unique Donc Je Suis design, it is the perfect case to protect your iPhone 4/4s with style. Extra-thin Crystal Les Shadoks® Chaud ou Froid back cover for Apple iPhone 4/4s! Hard and light case for iPhone 4/4s with an original design. Unique Chaud ou Froid design, it is the perfect case to protect your iPhone 4/4s with style. 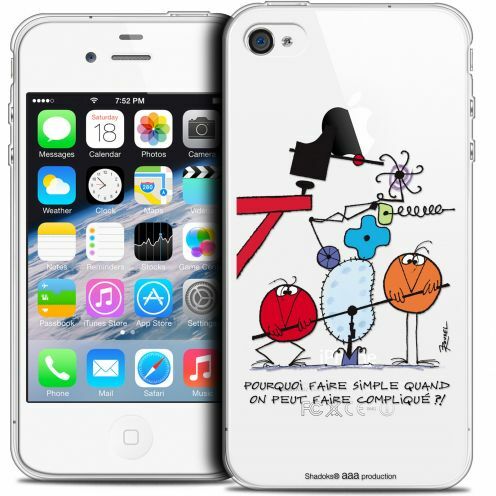 Extra-thin Crystal Les Shadoks® Pourquoi faire Simple back cover for Apple iPhone 4/4s! Hard and light case for iPhone 4/4s with an original design. Unique Pourquoi faire Simple design, it is the perfect case to protect your iPhone 4/4s with style. 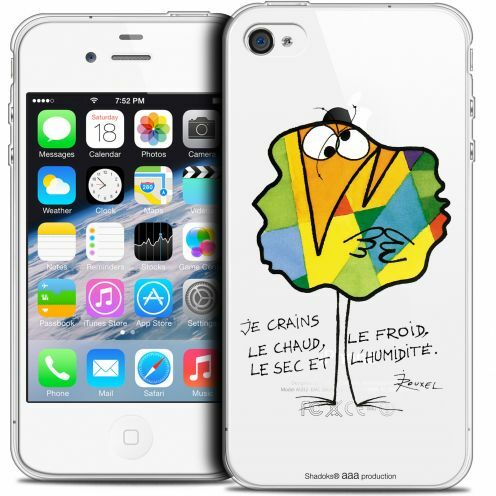 Extra Slim Crystal iPhone 4/4s Case Les Shadoks® Ca fait du bien ! Extra-thin Crystal Les Shadoks® Ca fait du bien ! back cover for Apple iPhone 4/4s! Hard and light case for iPhone 4/4s with an original design. Unique Ca fait du bien ! design, it is the perfect case to protect your iPhone 4/4s with style. 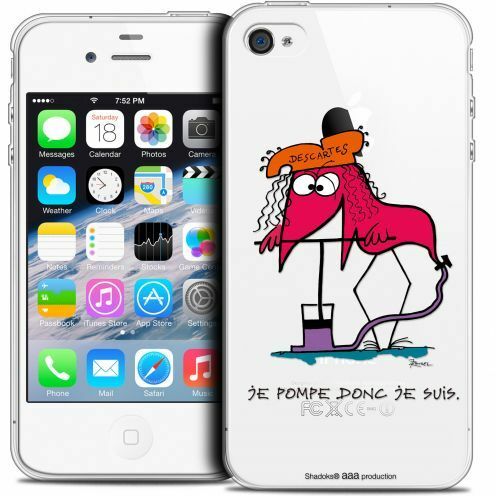 Extra-thin Crystal Les Shadoks® Vivre Pour Pomper back cover for Apple iPhone 4/4s! Hard and light case for iPhone 4/4s with an original design. 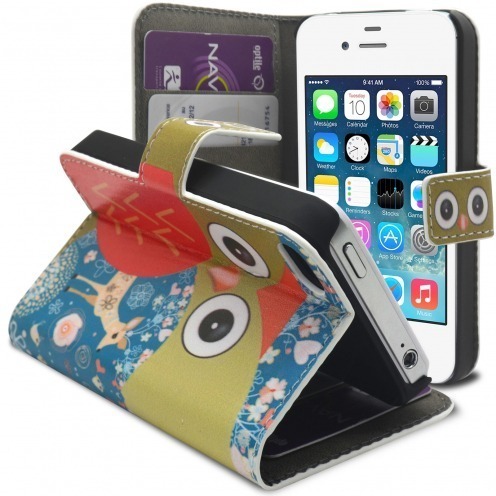 Unique Vivre Pour Pomper design, it is the perfect case to protect your iPhone 4/4s with style. 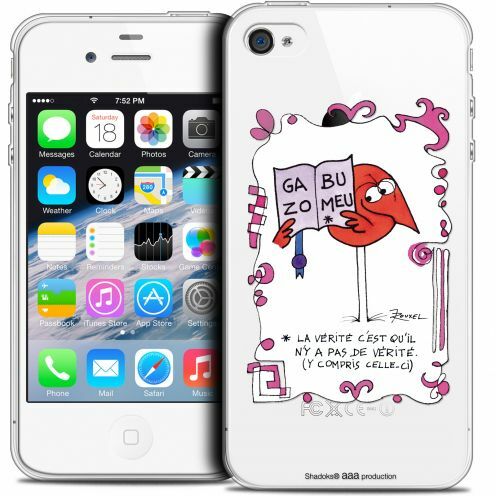 Extra-thin Crystal Les Shadoks® Amnésie back cover for Apple iPhone 4/4s! Hard and light case for iPhone 4/4s with an original design. Unique Amnésie design, it is the perfect case to protect your iPhone 4/4s with style. 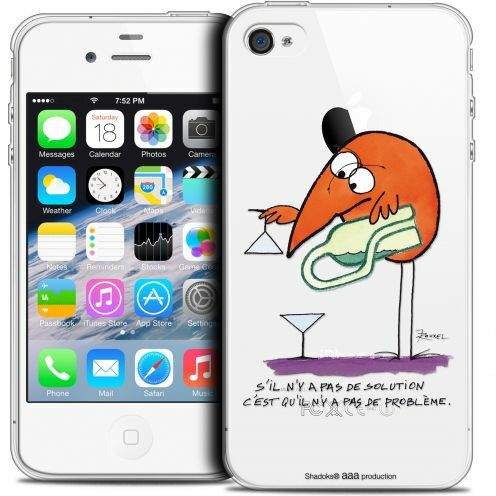 Extra-thin Crystal Les Shadoks® Soi-Même back cover for Apple iPhone 4/4s! Hard and light case for iPhone 4/4s with an original design. Unique Soi-Même design, it is the perfect case to protect your iPhone 4/4s with style. 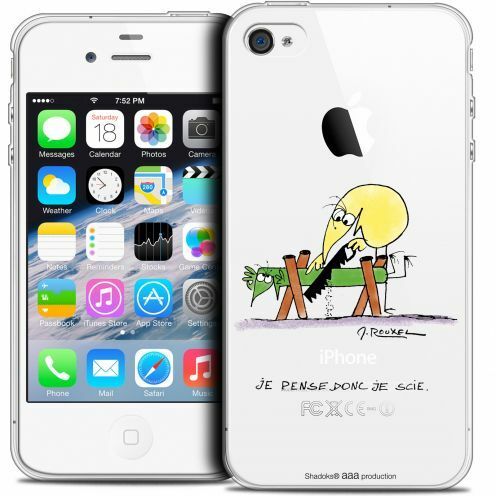 Extra-thin Crystal Les Shadoks® La Vérité back cover for Apple iPhone 4/4s! Hard and light case for iPhone 4/4s with an original design. Unique La Vérité design, it is the perfect case to protect your iPhone 4/4s with style. 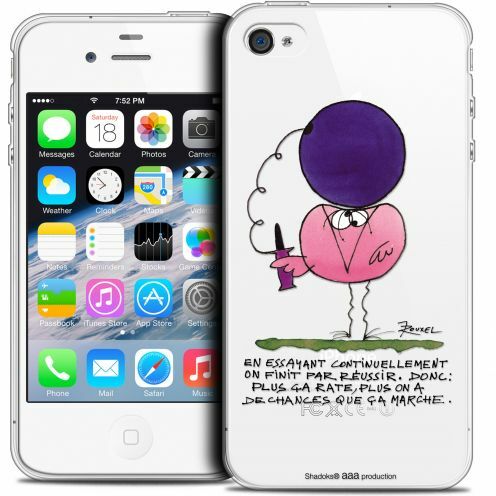 Extra-thin Crystal Les Shadoks® Le Partage back cover for Apple iPhone 4/4s! Hard and light case for iPhone 4/4s with an original design. Unique Le Partage design, it is the perfect case to protect your iPhone 4/4s with style. 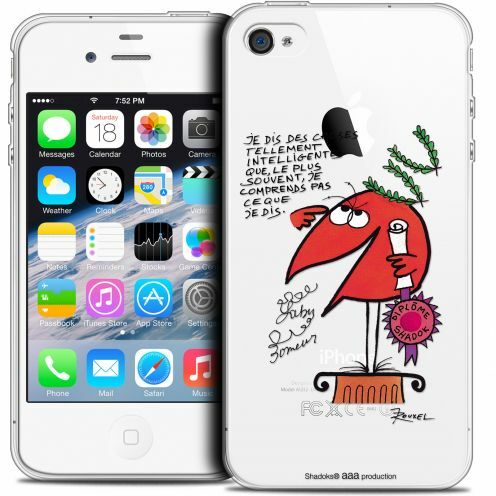 Extra-thin Crystal Les Shadoks® Le Chef back cover for Apple iPhone 4/4s! Hard and light case for iPhone 4/4s with an original design. Unique Le Chef design, it is the perfect case to protect your iPhone 4/4s with style. 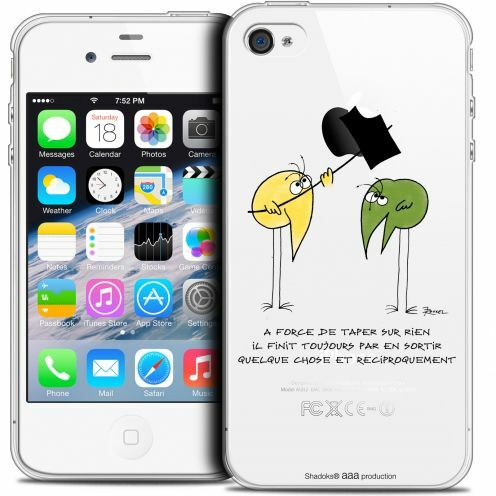 Extra-thin Crystal Les Shadoks® En Essayant back cover for Apple iPhone 4/4s! Hard and light case for iPhone 4/4s with an original design. Unique En Essayant design, it is the perfect case to protect your iPhone 4/4s with style. 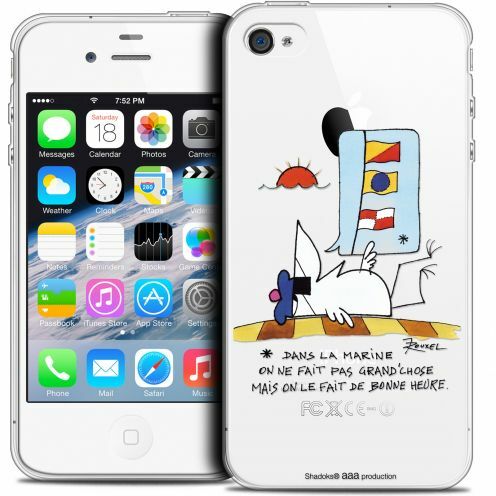 Extra-thin Crystal Les Shadoks® La Marine back cover for Apple iPhone 4/4s! Hard and light case for iPhone 4/4s with an original design. Unique La Marine design, it is the perfect case to protect your iPhone 4/4s with style. 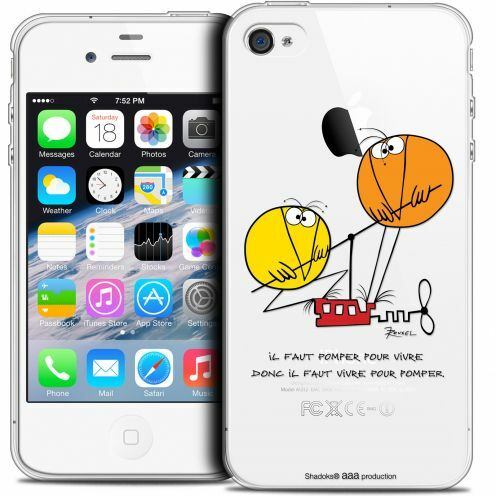 Extra Slim Crystal iPhone 4/4s Case Les Shadoks® Il Faut Y Aller !! Extra-thin Crystal Les Shadoks® Il Faut Y Aller !! back cover for Apple iPhone 4/4s! Hard and light case for iPhone 4/4s with an original design. Unique Il Faut Y Aller !! design, it is the perfect case to protect your iPhone 4/4s with style. 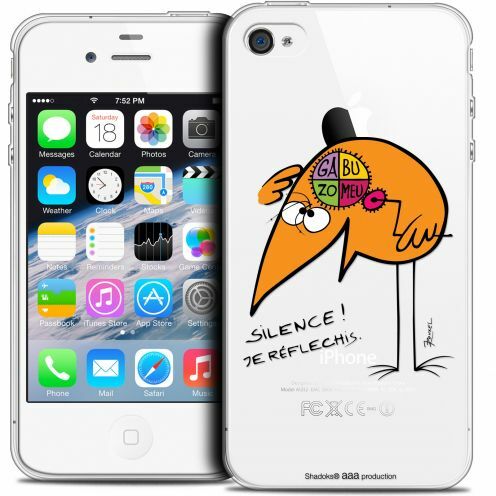 Extra Slim Crystal iPhone 4/4s Case Les Shadoks® Silence ! Extra-thin Crystal Les Shadoks® Silence ! back cover for Apple iPhone 4/4s! Hard and light case for iPhone 4/4s with an original design. Unique Silence ! design, it is the perfect case to protect your iPhone 4/4s with style. 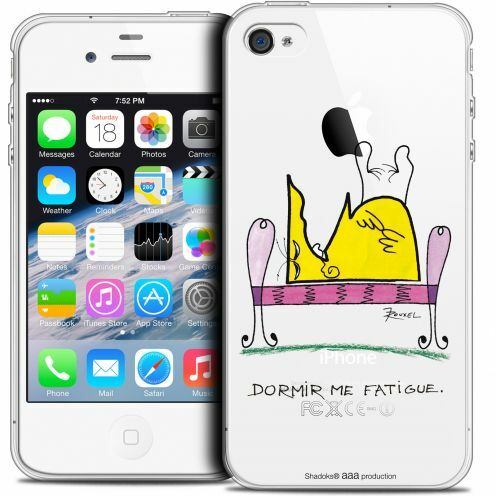 Extra-thin Crystal Les Shadoks® Dormir back cover for Apple iPhone 4/4s! Hard and light case for iPhone 4/4s with an original design. Unique Dormir design, it is the perfect case to protect your iPhone 4/4s with style. 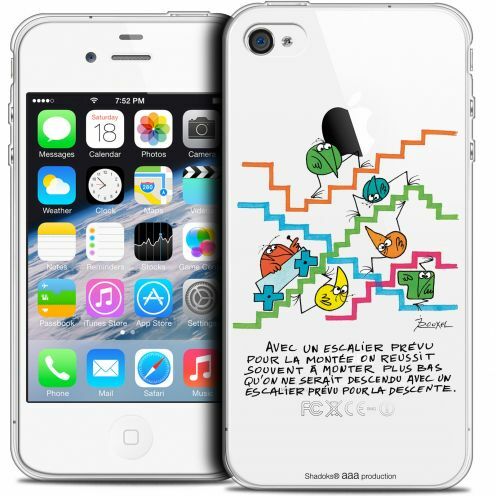 Extra-thin Crystal Les Shadoks® L'escalier back cover for Apple iPhone 4/4s! Hard and light case for iPhone 4/4s with an original design. Unique L'escalier design, it is the perfect case to protect your iPhone 4/4s with style. 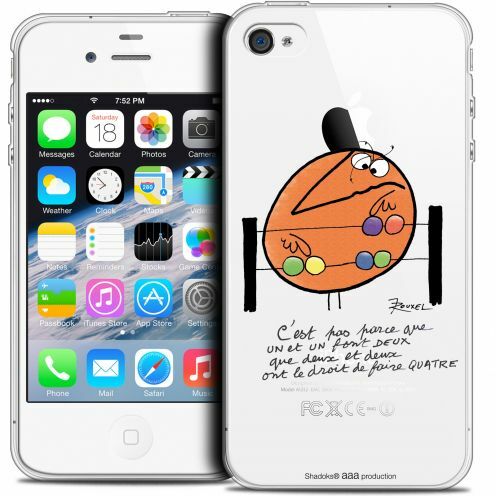 Extra-thin Crystal Les Shadoks® Je pense Donc back cover for Apple iPhone 4/4s! Hard and light case for iPhone 4/4s with an original design. 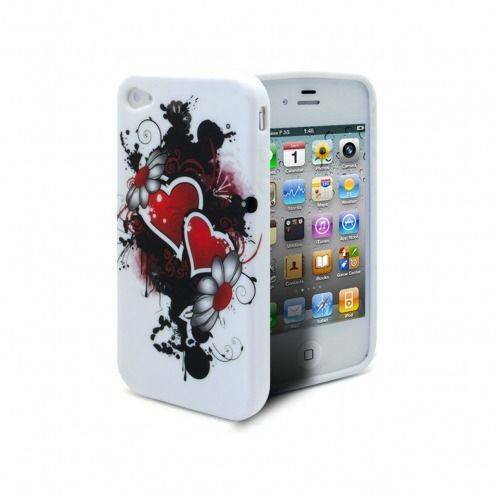 Unique Je pense Donc design, it is the perfect case to protect your iPhone 4/4s with style. 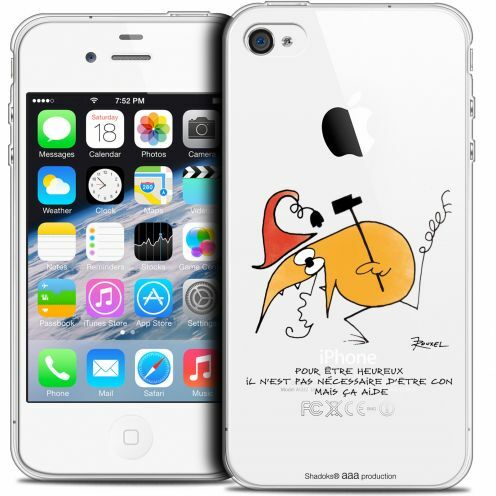 Extra-thin Crystal Les Shadoks® Musicien back cover for Apple iPhone 4/4s! Hard and light case for iPhone 4/4s with an original design. 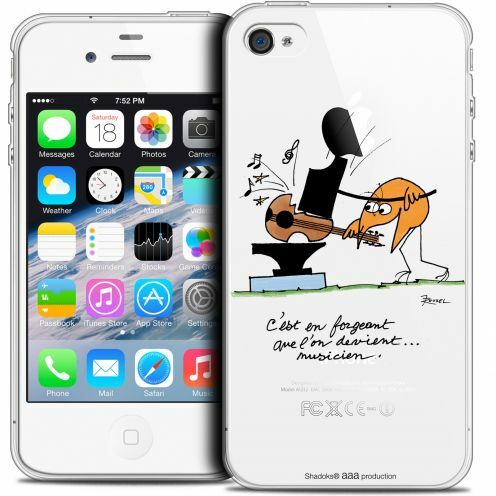 Unique Musicien design, it is the perfect case to protect your iPhone 4/4s with style. 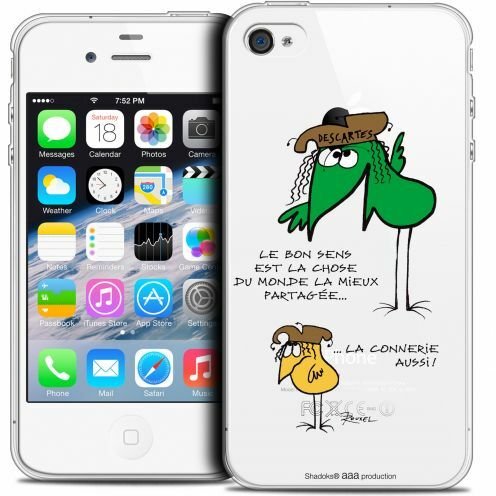 Extra-thin Crystal Les Shadoks® La Passoire back cover for Apple iPhone 4/4s! Hard and light case for iPhone 4/4s with an original design. Unique La Passoire design, it is the perfect case to protect your iPhone 4/4s with style. Extra-thin Crystal Les Shadoks® A Force back cover for Apple iPhone 4/4s! Hard and light case for iPhone 4/4s with an original design. Unique A Force design, it is the perfect case to protect your iPhone 4/4s with style. Extra-thin Crystal Les Shadoks® Mathématique back cover for Apple iPhone 4/4s! Hard and light case for iPhone 4/4s with an original design. Unique Mathématique design, it is the perfect case to protect your iPhone 4/4s with style. 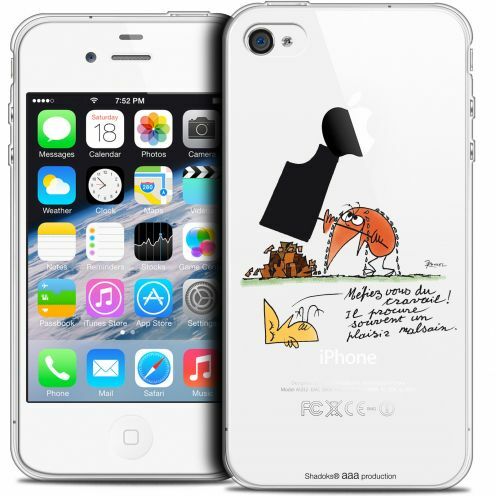 Extra-thin Crystal Les Shadoks® Le Travail back cover for Apple iPhone 4/4s! Hard and light case for iPhone 4/4s with an original design. 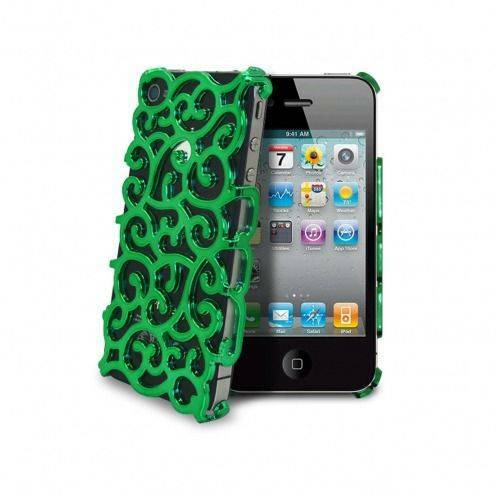 Unique Le Travail design, it is the perfect case to protect your iPhone 4/4s with style. 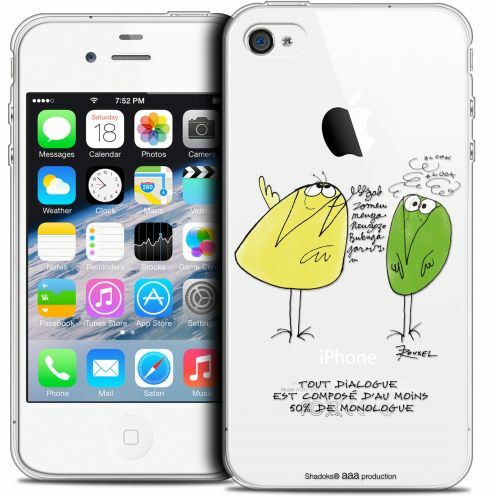 Extra-thin Crystal Les Shadoks® Le Dialogue back cover for Apple iPhone 4/4s! Hard and light case for iPhone 4/4s with an original design. 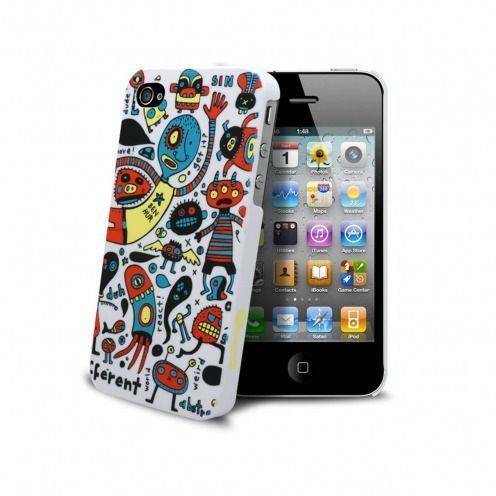 Unique Le Dialogue design, it is the perfect case to protect your iPhone 4/4s with style. 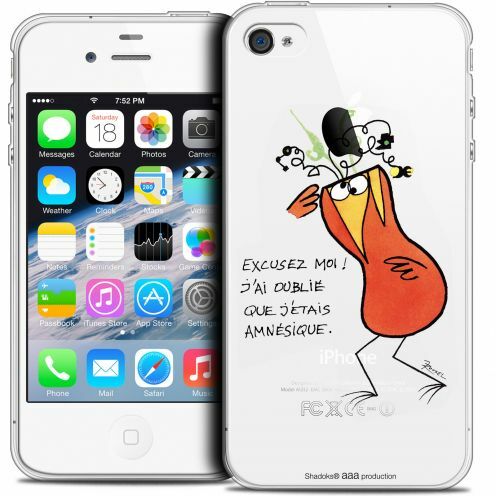 Extra-thin Crystal Les Shadoks® C'est Tout back cover for Apple iPhone 4/4s! Hard and light case for iPhone 4/4s with an original design. Unique C'est Tout design, it is the perfect case to protect your iPhone 4/4s with style.